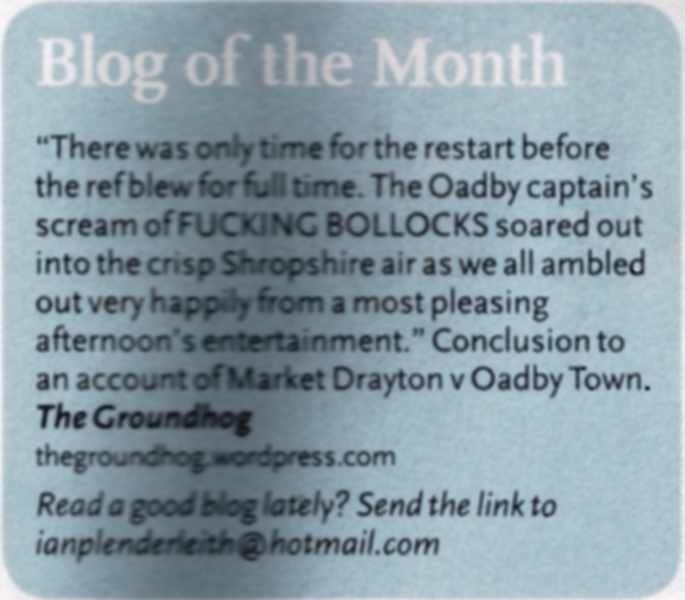 Another Welsh odyssey and this time my first Welsh Cup tie. The Welsh Cup is a competition that pits village teams against European Cup entrants, such are the demographics of Wales. Scanning the 16 third round matches, Cefn was the most attractive based on mileage and possible giant killing. Cefn only emerged in 2007-08, setting up base in Rhos-y-medre. 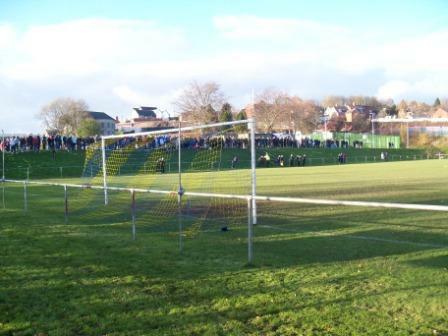 Their older and more famous brother, Cefn Druids, moved out of Plas-Kynaston Lane in Cefn Mawr to their picturesque new Rock Stadium in Rhos-y-medre; around the same time FC Cefn moved back to their eponymous village and coincidentally, Plas-Kynaston Lane. The Muga is just down from Druids’ old ground, looked upon by a behemoth of a Tesco, which has replaced it, Tardis-like. The traditional, genteel, Plas-Kynaston lane ground ousted out by the poster child of capitalism – a fitting symbology. 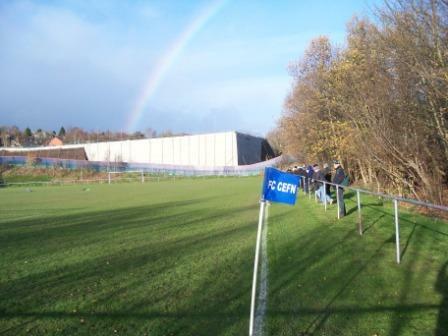 FC Cefn started in the Welsh National League Division Three and won successive promotions to where they are today, Division One and step three of Welsh football. 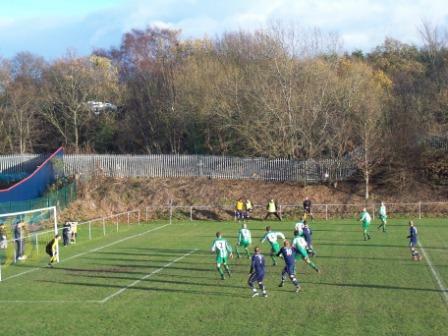 The Welsh National League is based in the Wrexham area and is one of the three step three divisions in the north. 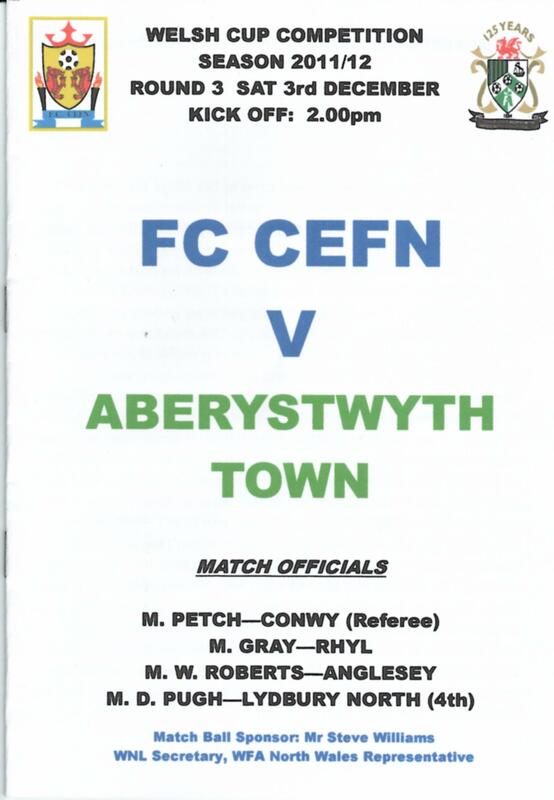 This was the biggest game in Cefn’s short history, attended by the most fans they’ve had inside the Muga. Over 300 turned out to their structure-less but nevertheless charming ground, helped by a large steep bank on the long side that you come in on. Some stood at the perimeter bar, pitchside, while most opted for the top of the bank. The cup upset I was hoping for was never going to happen. This was evident from the first minutes as Aberystwyth scored within seconds thanks to some Sunday league style defending. Goals two and three shortly followed to firmly put the visitors in total control. Two divisions difference in Wales in seems more like four of five in England. 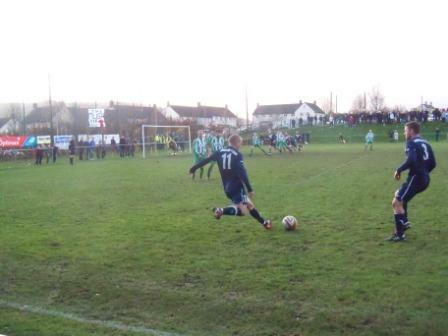 However, dogged determination got Cefn a goal back before half time to give them a glimmer of hope. A rainbow even appeared over Tesco, like a portent of good luck. As the rainbow faded so did any dream of a fightback as three more goals went in for Aber in the second half. They could’ve had a lot more, too. 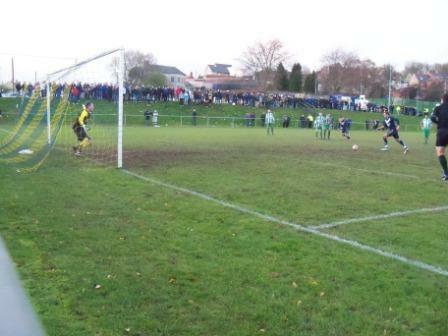 This included a penalty and a gorgeous 20 yard curling top corner. Aber setting the standard for Cefn to aspire to in the next few years. 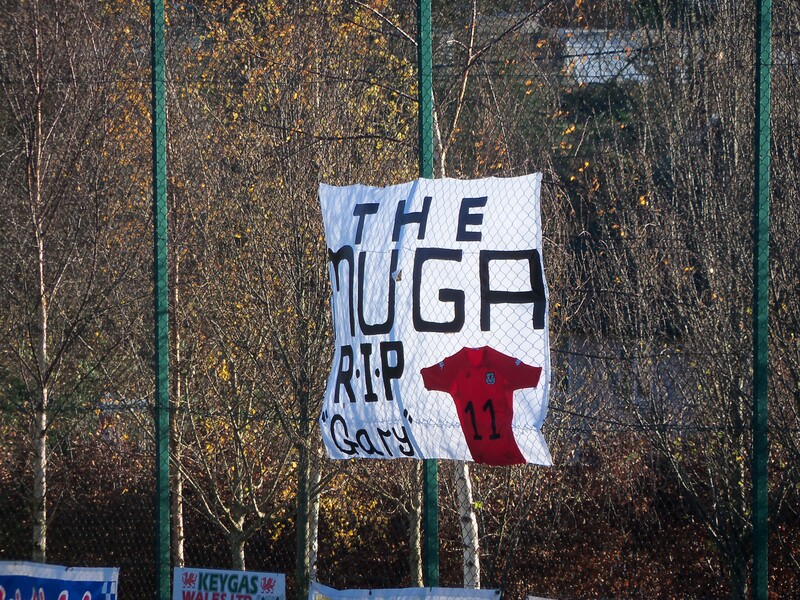 This entry was posted in Groundhopping, Travelog, Welsh football and tagged Aberystwyth Town FC, FC Cefn, The Muga, Welsh Cup, Welsh National League. Bookmark the permalink.